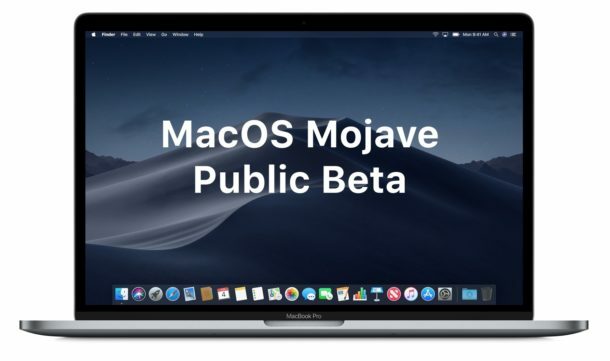 The MacOS Mojave public beta is now available to download for any Mac user interested in testing the upcoming system software. 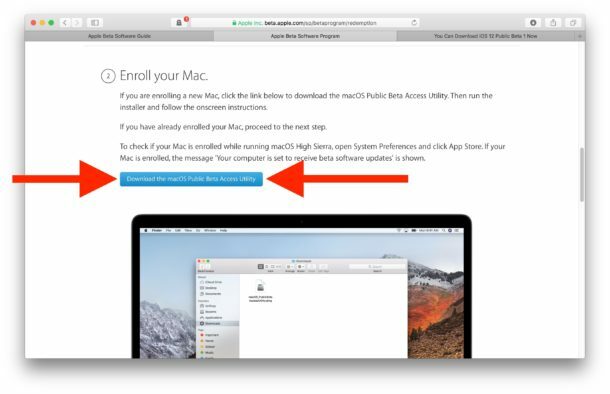 This tutorial will walk through enrolling in the MacOS public beta testing program and then installing the MacOS Mojave 10.14 public beta onto a Mac. 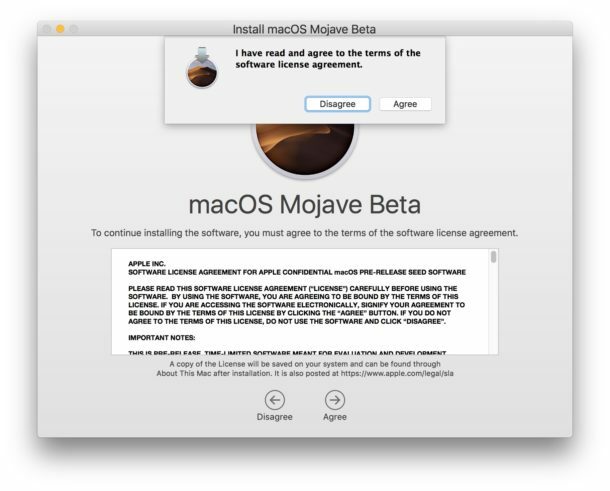 Note that while the public beta testing program for MacOS Mojave gives any Mac user an opportunity to explore and experience the system software release before the general public in the fall, as well as offer feedback to Apple about features, it is still beta software that is actively under development. Beta testing system software is not for everyone, as beta software tends to be more buggy, less compatible, and have less-than-optimal performance compared to final versions of system software. 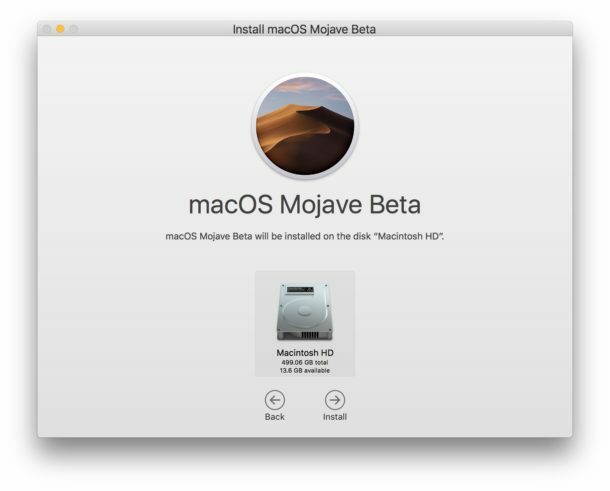 Thus, installing MacOS Mojave 10.14 public beta is most appropriate for advanced users, and on secondary hardware. To get started you’ll need an internet connection, an Apple ID, a Mac that is compatible with MacOS Mojave, a backup with Time Machine, and a little patience. Anything beyond that is optional. The guide here is going to assume you are installing macOS Mojave over an existing installation of MacOS, though you can certainly partition the hard drive if desired and choose to perform a clean install on that partition, or you could choose to install MacOS 10.14 onto another drive as well. 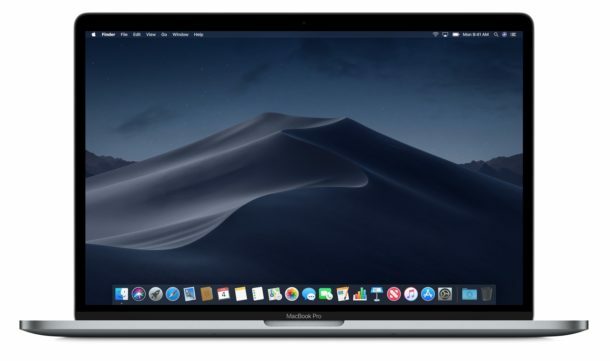 MacOS Mojave public beta will install and when complete, the Mac will boot up as usual into the freshly installed MacOS Mojave beta. You’ll be presented with a few simple setup options, and then you’re free to go with macOS Mojave 10.14 public beta. 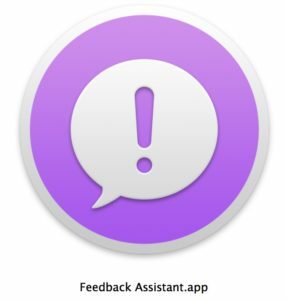 Remember to use the “Feedback Assistant” application to file reports for any bugs you may encounter, and also to offer your feedback for features and other aspects of macOS Mojave. An important part of being a good beta tester is to regularly file bugs so that you can do your part in improving the overall experience by the time the final version ships this fall. Future macOS Mojave public beta updates will arrive from the usual software update mechanism in MacOS. 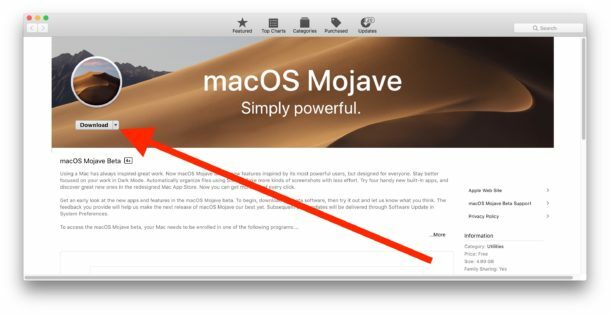 Notably, that has moved back into the “System Preferences” of MacOS in Mojave, much like it was on older versions of Mac OS before software updates moved into the Mac App Store. 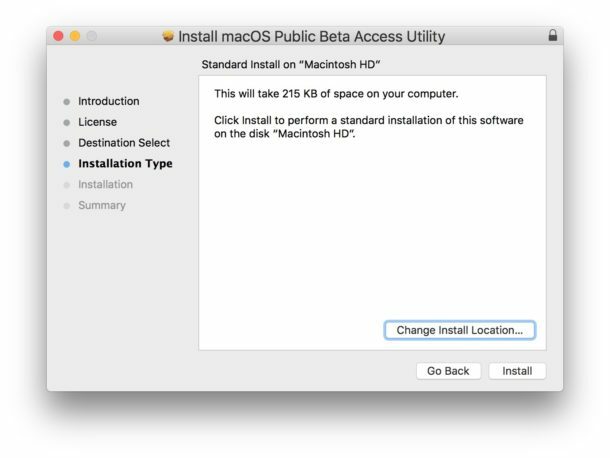 Previously, MacOS public beta software was able to update directly to the final version of that MacOS release when it became available, and presumably that will be the case with MacOS Mojave as well. If you decide the beta testing experience is not for you, you can leave the beta and return to what you were running before. As long as you have created a backup beforehand, you can easily downgrade from macOS Mojave beta to revert back to a prior MacOS release if desired. If you enjoy beta testing system software, you might also want to install iOS 12 public beta on an iPhone or iPad as well. Did you install macOS Mojave public beta? What are your thoughts? Let us know your experiences, thoughts, advice, rants, raves, and whatever else in the comments below! I find i hsve a macbook air and what ive done since maverick is partition fifty gigs of macintosh HD and put a beta on there so my mac becoms a dual boot. Then when the beta becomes stable, repartitiom it back to join the macintosh HD as one and reload the whole hardrive back to the current macOS itworks for me save running the beta on an old Mac. Regards Paul.